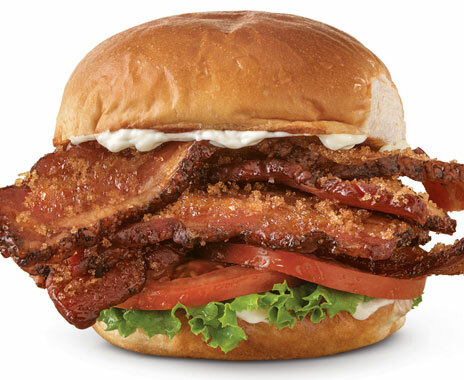 Vegetarians once tempted by Arby’s Brown Sugar Bacon are in for a rough July, as the brand is getting ready to introduce a new menu item that is three times thicker, three times tastier, and three times more irresistible than its predecessor: Triple Thick Brown Sugar Bacon. A standard slice of bacon is less than one-tenth of an inch thick. Arby’s new Triple Thick Brown Sugar Bacon is nearly a quarter of an inch thick, more than three times the girth of a typical slice, making the brand’s newest menu item aptly named and incredibly delicious.